Tom Lodge was one of the very first offshore disc-jockeys in the UK. He joined Radio Caroline in April 1964. He took part in the epic round-Britain broadcast made from the original Caroline ship, the mv.Fredericia; he was on board the mv.Mi Amigo when she lost her anchor and was washed up on the beach; and he was one of the station's most popular broadcasters, presenting the Breakfast Show on both ships. He was there while history was being made. He originally wrote his story for The Pirate Radio Hall of Fame in 2002. 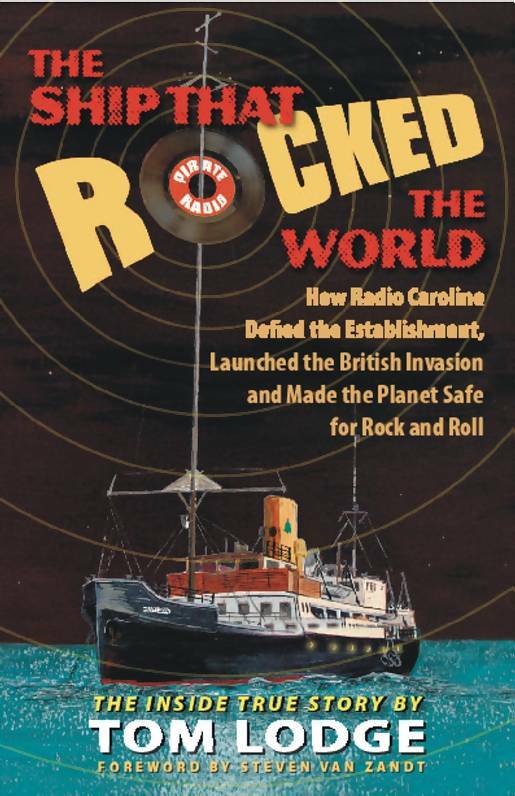 We published fourteen chapters of what later became a book entitled The Radio Caroline Story - from the inside. This was later re-published in a second, revised, edition. Finally, a third enlarged version called The Ship That Rocked The World. Double the size of the original book, it contained a lot more about Tom's encounters with the Beatles, the Rolling Stones, the Who, Eric Clapton, Herman's Hermits and his time on the two Caroline ships. And, yet again, Tom very kindly allowed us to publish some extracts from it. The book is available from The Radio Caroline Society, Amazon and good book shops. PART ONE: Foreword by Stevie Van Zandt and a promotional video. PART TWO: Prologue - MI5. PART THREE: Extract from chapter one - My Home On Caroline. PART FOUR: Extract from chapter two - From Damp to Hip. PART FIVE: Extract from chapter four - The Rolling Stones. PART SIX: Extract from chapter seven - Meeting The Who. PART SEVEN: Another extract from chapter seven - Carnaby Street. With grateful thanks to Tom. Don't forget to check out his photographs too. Tom died in March 2012. There is a tribute to him here.